All athletes ages 7 and up must use the adult size SISU, the SISU Aero Guard or the SISU Max Guard. 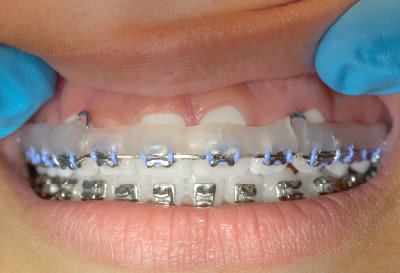 When fitting SISU with braces, you need to cover the brackets with dental wax or aluminum foil. SISU is a custom fit mouthguard that fits perfectly to your teeth. Without a barrier over the brackets, the SISU will create a vacuum tight seal around the brackets and be hard to get off. The good news is that you only need to use the barrier during the fitting process. 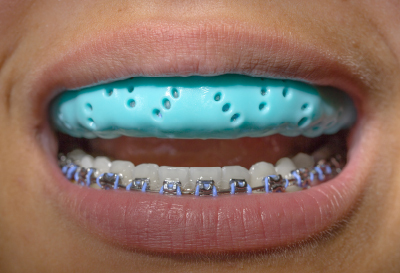 Once fitted, you can wear the guard right over the braces. Braces are an investment in time and money, so you want to do it right. During critical times when your teeth are undergoing rigorous adjustments, your orthodontist may recommend an alternative solution, so not to hinder the progress of your treatment. Work with your dental professional to help you fit, and re-fit, your SISU when you come in for your adjustments. 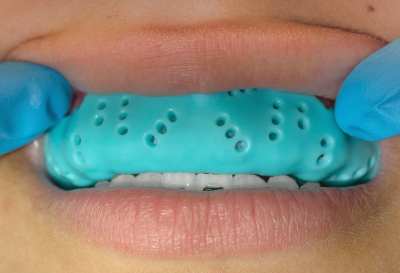 As your teeth shift during the orthodontic treatment, the mouthguard should be adjusted to fit your new shape. The guard is remoldable for up to 20 times, so you can continue using it, as your teeth shift and move. Simply bring it with you for each adjustment and it can be re-fitted right in the office with a bit of hot water (and the barrier). No impressions required! If you have any questions about SISU or the fitting process. please reach out to us. You can type your question into the chat window on the fitting page, call us at (800) 444-0570 or email customerservice@sisuguard.com. Dr. Cynthia Fee is one of our all-star doctors here at SISU. She has kindly allowed us to film the fitting process. Please watch the video below and share it with your orthodontist or download and print the list of bullet points to take to your next fitting.